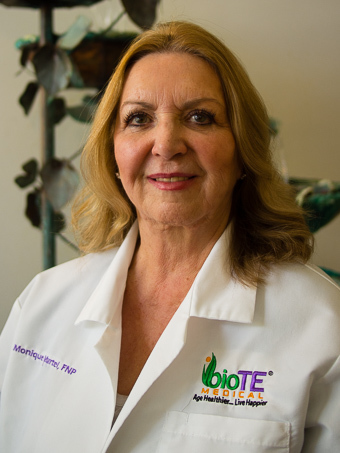 BioTE® Hormone Replacement Therapy | Martel Medical Office, Inc.
Four years ago, Monique Martel, Family Nurse Practitioner, was contacted by Dr. Gary Donovitz, founder of BioTE Medical®, to become a certified BioTE® Practitioner. Through extensive training and continued education, Monique became the very first BioTE® provider in the state of Colorado. Since then, she has assisted in training other practitioners around the state. Monique is a firm believer in the power of hormone replacement therapy, which is why she continues to offer this service to her patients. We invite you to allow Monique to assist you in your journey to Aging Healthier, and Living Happier. 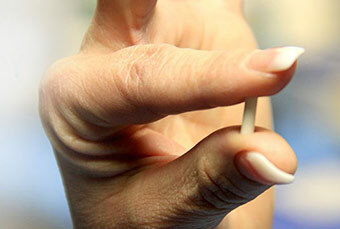 Have you heard about BioTE hormone pellet therapy? While this treatment for hormonal imbalance has been around for a long time, bio-identical hormone pellet therapy has recently seen a great resurgence. That’s because people around the world are experiencing first-hand, the amazing benefits of BioTE pellet therapy. Hormones rejuvenate, regenerate and restore. They serve as powerful chemical messengers sent to specific cells throughout your body to orchestrate many of your body’s internal functions and how your organs behave. Even a small fluctuation in levels can cause big changes in cells or even disrupt the balance throughout your entire body. Too much or too little of a hormone can have serious health consequences. By “bio-identical” we mean that the biochemical structure of the hormone is perfectly matched to the hormone produced in our bodies by the endocrine system. Bio-Identical hormones used in pellet hormone replacement therapy are neither a horse’s hormone nor artificially formulated (synthetic) that is intentionally manufactured to be slightly different from human hormone in order to patent it. Bio-Identical hormones are plant-based, natural substances that our bodies can metabolize in the way it was designed to do, minimizing side effects. These compounded bio-identicals can be matched to each man and woman’s unique needs, something that’s impossible with mass-manufactured products. Countless women and men have now made the switch to natural bio-identical hormone therapy. These human-identicals have long been preferred for hormone therapy in Japan, France and other European countries. They’ve been the subjects of many research studies on hormone therapy in which significant health benefits have been reported for both women and men. Data also continues to indicate that receiving hormone replacement therapy at the start of menopause can be very important to a woman’s ongoing health. BioTE® bio-identical hormone pellet method is one of the most widely studied, effective and safest methods of natural Hormone Replacement Therapy (HRT) available.